There is no excuse for the recent “barbaric attack on Donetsk,” Russian Foreign Ministry spokesperson Maria Zakharova said, adding that Kiev broke “all moral norms” in attacking civilians during the night with Grad missiles. 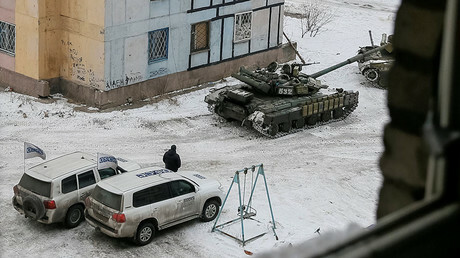 In the early hours of February 3, Donetsk was “heavily bombarded by the Ukrainian military,” Zakharova said. “The city’s residential areas were shelled dozens of times with heavy guns, including ‘Uragan’ and ‘Grad’ multiple rocket launchers. As a result, several civilians were killed and many – children among them – suffered wounds,” the Russian diplomat stated Friday during a press briefing, as quoted by Interfax. “This barbaric attack cannot be justified. By its actions, Kiev has violated not only the Geneva Convention for the Protection of Civilian Persons in Time of War, dated August 12, 1949, but has also broken all moral norms,” the Russian diplomat said. “Only barbarians can bombard a sleeping city and kill innocent people. We have no other name for those who carried out this attack,” she added. “The delivery of strikes by heavy artillery – is this how Kiev shows off the unity of its country and the people? Kiev is not only expressing no concern over the escalation of the crisis, but without any compunction shows off its actions in Donbass, using the UN Security Council venue for this,” Zakharova said. She said that Moscow is also highly concerned about the shelling of journalists in the Donbass region by Ukrainian units. This is a gross violation of norms and standards of international law, Zakharova emphasized. “We regard this incident as a gross violation of norms and standards of international humanitarian law,” the diplomat said. 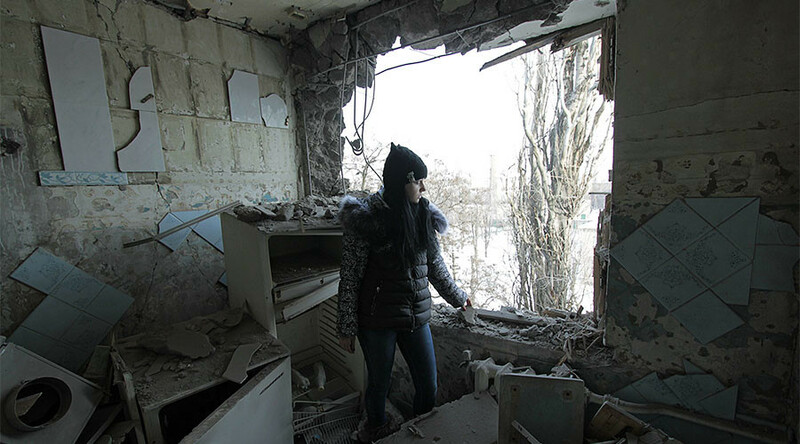 Russia’s top federal investigative agency launched a criminal case into the deaths of civilians in Donetsk as a result of shelling by Ukrainian government forces on February 1-3, Investigative Committee acting chief spokesman Svetlana Petrenko said on Friday. #Donetsk: vulnerable civilians - pensioners, disabled - being evac'd from areas targeted by Ukrainian artillery. According to investigators, the Ukrainian military, acting on the orders of senior commanders and officials from the Ukrainian Defense Ministry, conducted heavy artillery attacks on several residential areas of the city of Donetsk and the suburban towns of Yasinovataya and Makeyevka on February 1, 2, and 3 this year. Three civilians died and 15 were wounded as a result of the shelling. The attacks also damaged at least 60 residential buildings and civilian infrastructure facilities.